Aren't these twins gorgeous? 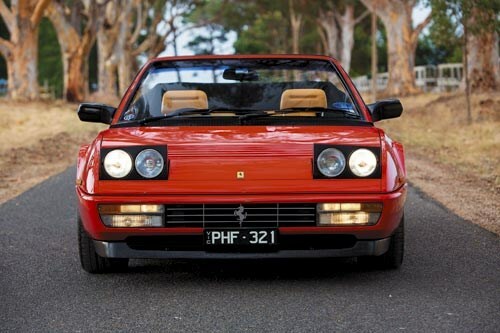 That might raise a sly grin from some of you – particularly if you’re Austin Powers fans – but these two Ferrari Mondials represent terrific examples of what can be considered, these days, affordable supercars. I owned a Ferrari 308GT4 once, back in the 1980s. While it wasn’t as popular in its day as some others, it was one of the best cars I’ve ever owned and gave me some of the most enjoyable motoring experiences I’ve ever had. Things were a bit more free and easy in the 1980s and I can remember one trip in that car from Devonport to Baskerville Raceway in Hobart to see my brother race his motorbike. I picked up one of my mates at Longford on the way through and that journey ended up being etched on my mind. We travelled along at a good pace – I won’t say how fast! – with the engine singing away and it was just glorious. As I said, it wasn’t popular in its day, but the GT4 has stood the test of time. With two back seats these are quite useable, too, like a Porsche. 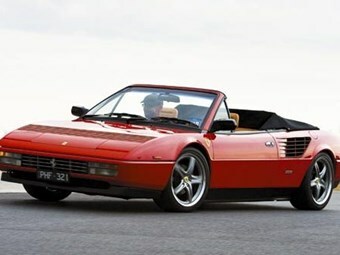 You could almost call it the family Ferrari as it is half-practical and its styling seems to have weathered very well. Well, the Mondial twins you see here are more modern versions of the GT4. 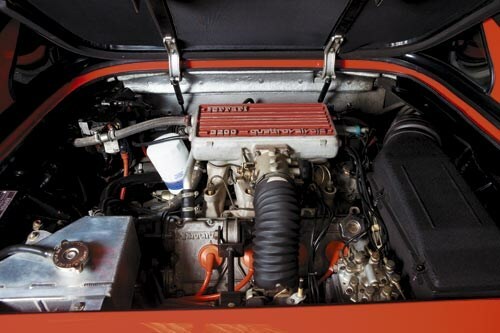 The Mondial was launched in 1980 with a 2.9-litre, 16-valve V8; later it received four valves per cylinder, then a capacity increase to 3.2 litres. It also had a few styling updates during its 13-year life. Although it won’t be top of the must-have list for hard-core Ferrari fans, ’m picking this model will stand the test of time. 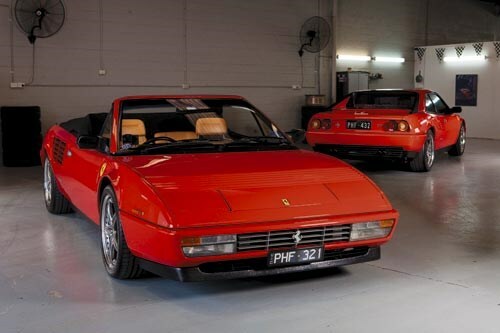 These are beautiful cars, but not regarded as pure performance cars like the 348 and the 355 so I was interested to see how these things drove as a livable ‘prancing horse’. 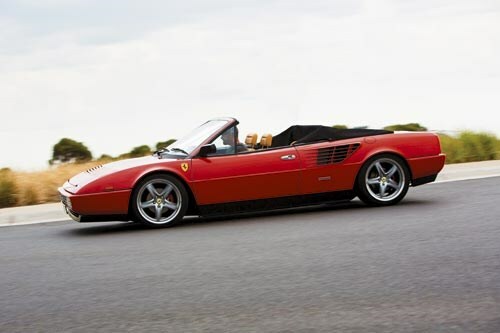 Let’s face it – any Ferrari is bedroom wall poster material for many of us but sometimes these ‘pin-up’ cars can be a pain in the derrière to drive and own. Both these cars have been beautifully maintained and are in absolutely mint condition. 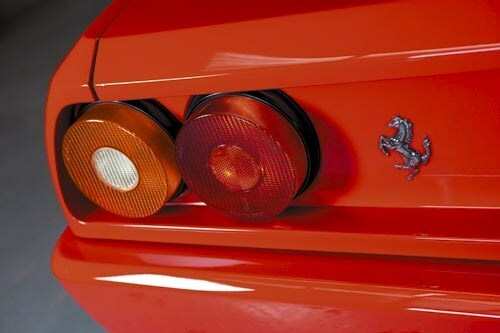 To drive them was terrific – they reminded me of all the good aspects of my Ferrari 308GT4. The troublesome reputation that Ferraris sometimes have is mostly the result of people buying them fifth-hand, after they have been owned by other people who can’t – or don’t – look after them with the attention they deserve. Some people buy cars such as this for the wrong reason – let’s call it the Lygon Street factor – and don’t realise the preventive maintenance a car such as this requires. It comes down to dollars, too, and it’s a problem that affects all sorts of cars, not just older Ferraris. The car may be worth a fraction of its new car price and therefore easier to stump up the funds for, but the parts and servicing is the same price as it ever was. My point is, these Mondials are not horrible money to buy but you need to look after them. Anyhow, these cars are mid-engine with the engine and transverse driveline installed on a sub-frame. 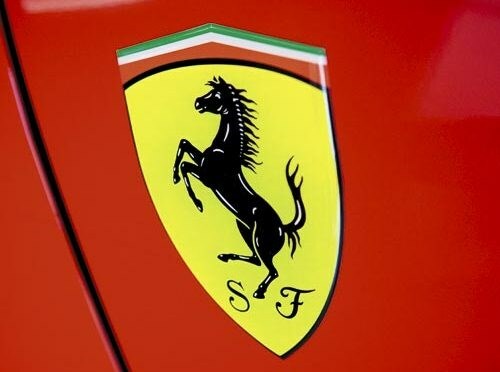 Most car people realise that Ferrari has engineered front- and mid-engine cars over the years. If you ask me to choose a favourite, my preference is for the front-engine Ferraris but I’ve driven and raced quite a few mid-engine ones, too. 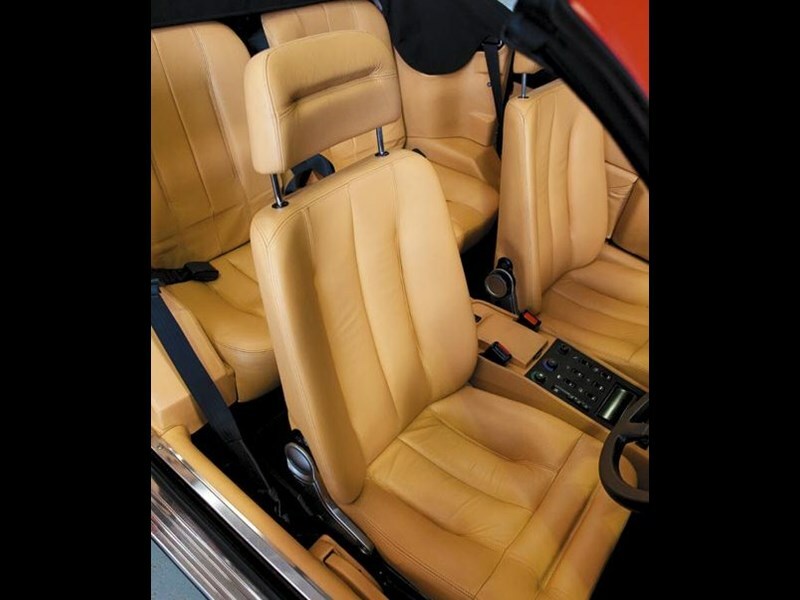 You sit low and a little reclined in the Mondial and it has that typical Italian cabin character that every test driver seems to mention: The short-legs, long-arms driving position. It seems that just about every Italian car built before the mid-1990s – whether it’s a Fiat, Lamborghini, Lancia, Alfa – had that. Inside, it carries plenty of classic 1980s styling cues, with a squared-off gauge pod sitting high in front of the driver. 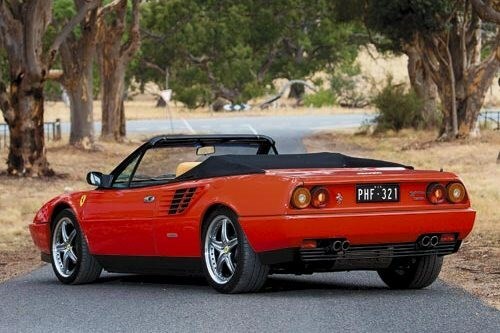 It’s a style that was used by many manufacturers – squint and you might see a VB Commodore or XD Falcon in the overall shape – but the Ferrari, of course, does it with far more panache. 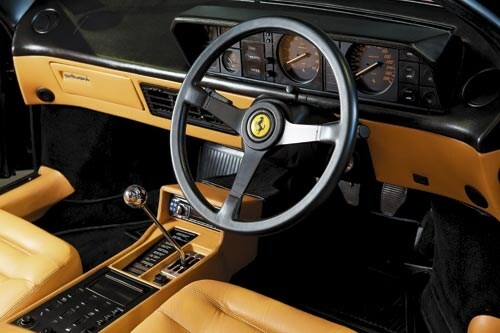 It has a beautiful biscuit-coloured leather interior, which is a bit of a Ferrari trademark, like the bright red bodywork that most Mondials left the factory with. I reckon those two colours are what will spring to mind if ever someone mentions ‘Ferrari’, even if you’ve never seen or heard one in action. Another trademark is that chrome metal gated gear shift for the five-speed, dog-leg gearbox. There’s little chance of grabbing the wrong cog in a Ferrari: first is by itself and 2/3 and 4/5 are across the gate from each other to allow quick changes. I prefer the coupé as you can feel the extra rigidity and the effect that has on the sharpness of the chassis and steering. On that subject, these Ferraris don’t have power steering so the steering is firm but provides nice feel. When you’re used to driving cars with power steering – and we all are, these days – you might get a bit of a shock when you first drive an un-assisted car. But as soon as you get rolling, you appreciate the extra tactility that’s usually on offer. We really get spoilt by power steering. Let’s face it, lots of modern cars have steering that is way too light and as a result they lose that connection with the road. The Mondial’s steering is not that quick – in fact, I’d almost say it’s slow – but that’s to make it less darty, especially on European autobahns. You don’t want to sneeze and spear across two lanes! Driving either car is an occasion. There’s a lovely buzz from the engine behind you. It’s a V8 but it doesn’t sound like one due to the flat-plane crank. Other noises the cars make are unique, too – even the starter has a distinct whirr. There’s a reason why Ferraris have always enjoyed a reputation for exclusivity – it has a lot to do with the character in the cars. Even the less-popular ones have that character by the bucketful. I was surprised at how normal these Ferraris were to drive; they are both useable, yet characterful cars. 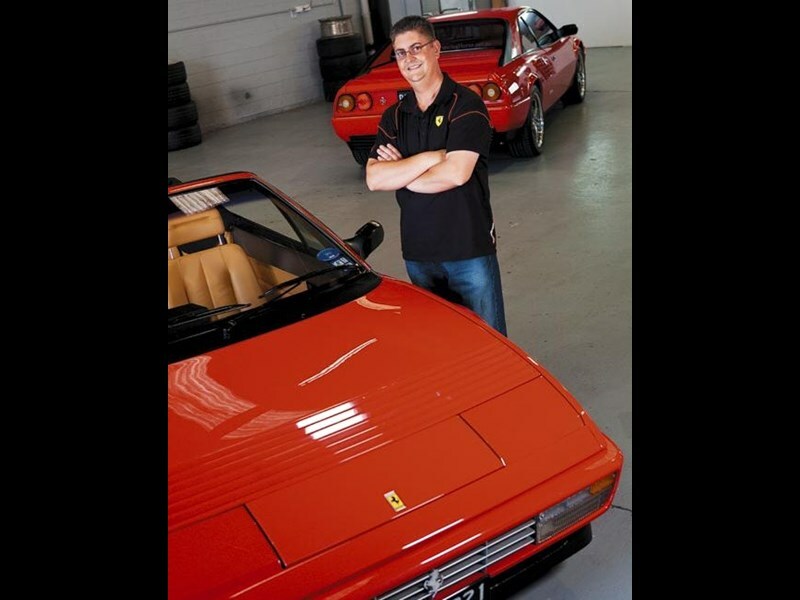 Sebastian Lentini owns Prancing Horse Ferrari Hire so his two toys are in regular use. "I grew up with a Ferrari poster on my wall and watching Magnum PI!" laughs Sebastian. "I’ve owned these ones for three years. I bought the coupé as part of the wedding car business. 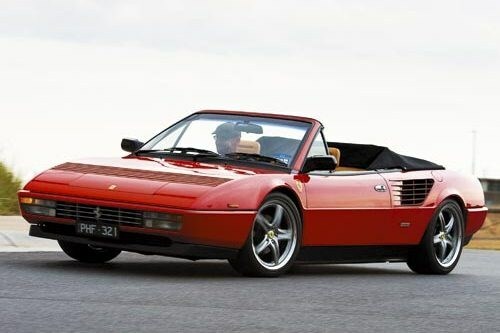 The convertible I stumbled across – it was in storage – and apparently it’s one of just three Australian-delivered ’87 Mondial convertibles." "The cambelts need doing every two or three years, regardless of kilometres and they get an oil change every 5000km." Spare parts? "Not silly at all. For instance, I put a clutch in the convertible and it cost me less than my Commodore SS."